As expected, Republicans failure to choose how to undo ObamaCare resulted in a conflict by which Democrats hope to profit. 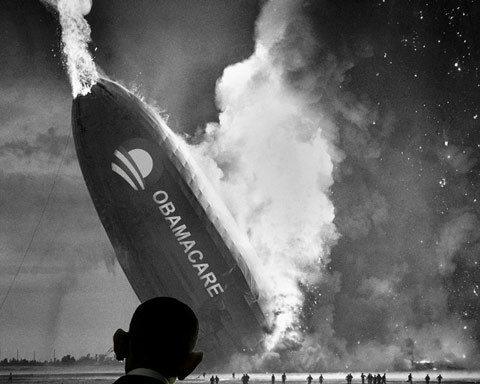 Leftists are trying to write an obituary for the Trump agenda before he’s even been in office for his first hundred days even as ObamaCare crashes and burns. No matter what anyone thinks, however, the media and Democrats will label this a rejection of the Trump agenda. Democrats are succeeding in stopping President Trump from halting their importing illegal immigrants and Moslem refugees. Now they have succeeded in stopping him from abolishing government seizure of healthcare. Some are saying Trump is incompetent, or impotent, or, like Obama, a Trojan Horse, but this time of the internal corrupt Establishment rather than external enemies. All of them want the rightwing agenda to fail, to stop the restoration of the American Dream, sabotage the Trump agenda, and continue to transform America into a banana republic. The truth is it’s too soon to know anything. Running Washington is not the same as running a business. In a business when the boss says “do this” then you do it or you’re fired! In politics working with Washington is more like herding cats. This often leads to the compromise mentality that has led to Washington politicians becoming corrupt, making deals for what they want to benefit themselves regardless of what is good for the country. How else do politicians making $170,000 a year become millionaires? Republicans will get no support from Democrats in repealing ObamaCare. Leftists are not just married to their taxes, but in an incestuous union that cannot be broken. You can pull them apart, but they are still united in blood and always will be. The greatest deceptions in the history of the world after Satan convincing people he does not exist is Democrats convincing people they must give them their money; for everything from helping the poor to healthcare to illegal immigrants to Islamist refugees to global warming. Nothing Democrats do is meant to benefit the people, but to fill their own pockets. If they truly wanted to benefit the people then they never would have drained the Social Security Fund and made it “retirement insurance,” and people would get more than a pittance of what they put in while Democrats spend the rest on their own pet programs. Liberals believe Donald Trump is a joke, never tells the truth, and is only for enriching the 1%. Democrats say they are for the little guy and Republicans are for the 1%. They are succeeding in advancing this thinking by using the Mainstream Media and Hollywood who are deluging the people with leftist propaganda. On examination it is found that 95% of Hollywood and the MSM donate to Democrats. Does anyone think they do this out of the goodness of their hearts to help the poor? If Hollywood elites truly wanted to help the poor why don’t they share their multi-million dollar salaries they make in a few weeks with the crews that shoot their films whose yearly salaries are only five figures? The MSM doesn’t promote Democrats because high taxes and business crushing regulations are good things, or even the right things, but because they get paid to do it. Leftists believe businesses cannot be built without the government funding them in some way, but do not comprehend from where government gets money to fund anything. The lesson for President Trump to learn here is not that he must compromise and work with Democrats. Reagan was a Republican president with a Democrat controlled Congress and only got 1/3rd of them to work with him on tax reform. Newt Gingrich had a Republican Congress with a Democrat president who stood against him when he brought about welfare reform, but got half of Democrats to work with him to overcome a veto and government shutdown. But Trump does have it much harder as the country is more divided and polarized than ever since the Civil War. Lincoln stood for what was right even though the country ended up in its bloodiest war over it. 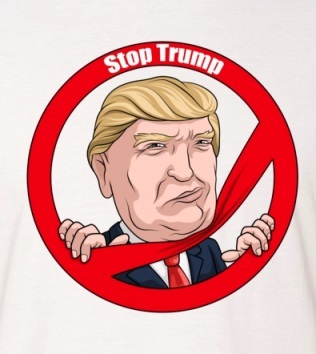 Trump must learn the Lincoln/Reagan/Gingrich model of not giving the Left their way, but convincing Democrats, RINOs, and NeverTrumpers to come to him. It’s the Art of the Deal to either advance conservatism or submit to liberalism, and this is where President Donald Trump will truly be put to the test. The Potomac Two-Step: How can we Stop the Government? This entry was posted in Politics and tagged Conservatism vs. Liberalism, Donald Trump, Government healthcare, ObamaCare, ObamaCare crashes and burns, ObamaCare repeal no vote, Socialized Medicine, Trump agenda, Trump agenda obituary, Trump presidency. Bookmark the permalink.